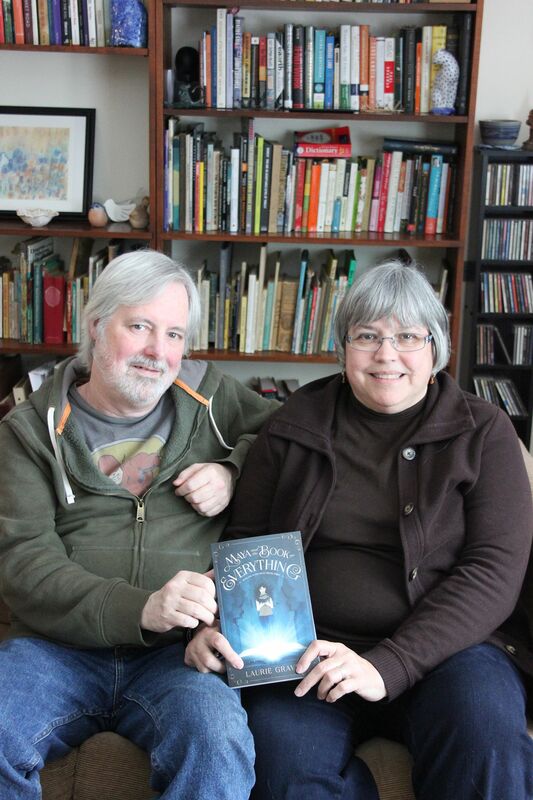 John Clark celebrating the publication of a really good young adult urban fantasy by my friend Laurie Graves. She’s guest blogged here a few times and many may remember her and husband Clif as the creators and publishers of Wolf Moon Journal. Beth and I, as well as daughters Sara and Lisa were contributors to various issues and it was that publication which got me started writing book reviews, something I do plenty of these days. Below is my review of Maya, followed by highlights I had with Laurie and Clif over coffee last week. 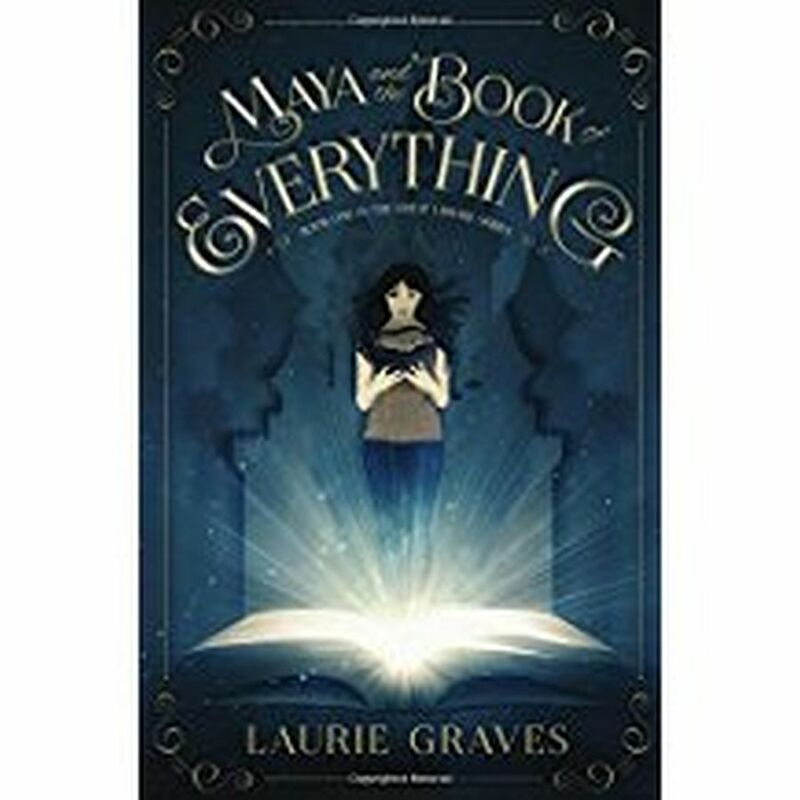 Maya and the Book of Everything by Laurie Graves, Hinterlands Press, 2016. ISBN: 9780997845303. Reviewed by John R. Clark, MLIS. From the moment you meet Maya on a Boston bound train until the very surprising twist at the end which so smoothly sets up the next book, you’re in for an adventure. Maya’s bound for East Vassalboro, Maine for the summer. Still hurt and angry about her father’s abandonment and new family in North Carolina, she and her artist mom are spending more than their traditional month this time. When she notices a grim and evil looking man a few seats down on the train, she realizes the object of his attention is a nervous looking young woman further down the compartment. Sensing something amiss, Maya creates a distraction while walking past him and the woman who drops something in her messenger bag. The mystery object turns out to be a book, and what a book it is! Maya learns it’s Earth’s edition of The Book of Everything, a volume that constantly changes, has unique powers and can interact with certain people, Maya being one of them. There are evil people who want the book as well as a group of dedicated librarians who are equally determined to protect it. Once her bond with the book forms, Maya’s life changes in unexpected ways. Time no longer stays constant, the book takes her to a neighborhood ion Waterville years before where she meets Andy, a boy two years older than Maya who’s fifteen. Meeting him is just an intermediate step, leading to another world where she finds a toad queen, an ancient oak, feuding brothers, magic and another side trip to The Great Library where Books of Everything are carefully crafted for worlds all over the universe. This is an excellently crafted urban fantasy, one that teens and adults will like a lot. Maine and librarians play significant roles in the story and Maya and Andy are strong and very likable protagonists. 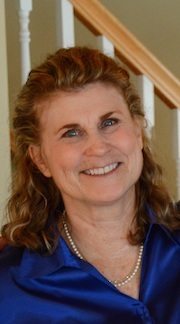 Laurie has created a full and intriguing world with equally intriguing characters. It’s an excellent choice for both school and public libraries. When chatting about the book, I was most intrigued at how it came about. Laurie was editing an issue of Wolf Moon when she discovered that her go-to resource, The Chicago Manual of Style didn’t have all the answers needed. That started an inner dialogue about how a book that had everything in it might come about. Next came the idea for the story-one about a strong girl with family issues who was willing to act bravely. When Laurie attended a Christmas concert and saw a young girl who was a participant, she became the mental image of Maya and the book took off. Themes integral to the story came next: Maya’s darker coloring from her Franco-American heritage, the idea of setting parts of the story in a tight knit neighborhood and the importance of generational interaction (readers will note Maya’s role as the family spokesperson). Libraries have always been important to Laurie (she currently serves on the board at the Bailey Library in Winthrop), something she inherited from her dad. 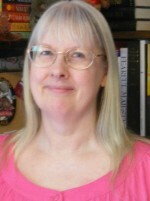 The Vassalboro and Waterville libraries were critical to her growing up years. She noted that one of the blessings of growing up in New England was the large and strong library system. Almost every town has one, but sadly, they must fight continually for an adequate budget. I asked her what books influenced her growing up. The Wizard of Oz, Alice in Wonderland, A Wrinkle in Time, The Hobbit and the Lord of the Rings as well as fiction by Farley Mowatt were her immediate responses. In fact, she wished that she could have written A Wrinkle in Time and The Lord of the Rings. 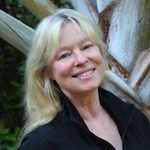 Maya’s story became a serious project following the cessation of Wolf Moon Journal. The first draft got a year long incubation, followed by numerous revisions and several rejections. The decision to self publish it wasn’t made lightly, but went forward when daughter Dee, an editor for a major NYC publisher, offered to pay for professional cover art as well as work on the editing. Laurie and Clif both noted how helpful Google Translator was in the editing process. There were further adventures when Clif started the import process from a word processor into Scribus (his page layout of choice). It was done as plain text, but the process stripped out quote marks and italics, neither apparent until the first proof was printed. He noted that quotes were easy to fix, italics not so much. Fonts were also a challenge since many are copyrighted and expensive. He settled on Garamond-Crimson Text. Both agreed that a professional copy editor will be high on their list for the next book. Creating the ebook version in both epub and mobi came next, using Ultimate Ebook Creator to do it. Maya goes to another world called Albion in the story, so I asked Laurie how she chose it and was told Albion is an old name for England. Likewise the society there and the two brothers in conflict are loosely based on Shakespeare’s The Tempest. In fact Laurie said that astute readers will find numerous references to Shakespeare in the story. Two themes she wants readers to understand. Facts do matter and Maya is at its core, a book about family. Book two Library Lost is planned for the fall of 2018. This photo doesn’t do the cover art justice. In celebration of Maya’s debut, I’m giving a signed copy of Maya and the Book of Everything to one reader who comments on the blog post. 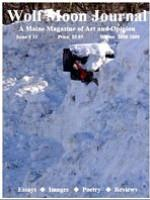 This entry was posted in John Clark and tagged Clif Graves, Franco-Americans, Hinterlands Press, John Clark, Laurie Graves, Maine authors, Maine libraries, self-publishing, Urban fantasy, Wolf Moon Journal, Young adult fantasy. Bookmark the permalink. Sounds like a fun read for all. Congratulations to Barb Ross and Jessica Estevao on their Agatha nominations! as well as Roger Guay and Kate Clark Flora!! This sounds like a wonderful book! A book I need to get for my library. I think I have many students who would enjoy it. I agree, it’s certainly one younger teens who like strong protagonists will like big time. Wonderful review, John. I have already read the book and thoroughly enjoyed it. This makes me want to immediately go back for a second read because there is much depth to the book and subtle things that I missed. I appreciate having some of the background of how Maya came to be. This sounds like an absolutely fabulous book. Whether I win or not I hope to read it. Thanks Jane. I’, having my wife draw the winner this morning. Using our super secret high tech selector (numbers in a hat drawn with her eyes shut by Beth) the winner of the signed copy is Amanda. If you email me at berek@tds.net with your mailing information, I’ll send your book to you.